Fr. 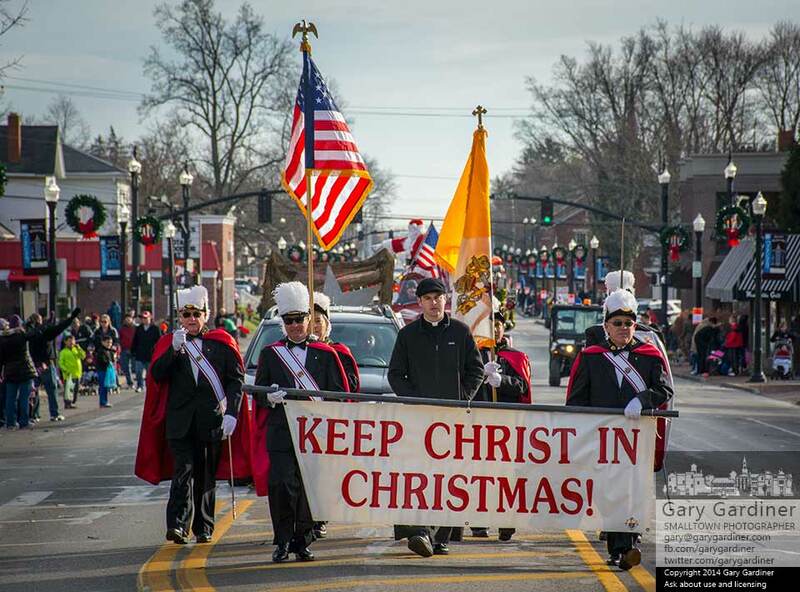 Michael Hinterschied, Associate Pastor at St. Paul the Apostle Catholic Church, and the Knights of Columbus precede Santa Claus in the Sertoma Children’s Christmas parade in Westerville. My Final Photo for Dec. 7, 2014.